Escape the stress of everyday life in this extraordinary, resort-inspired masterpiece tucked on the quiet street of Bayou Grande. 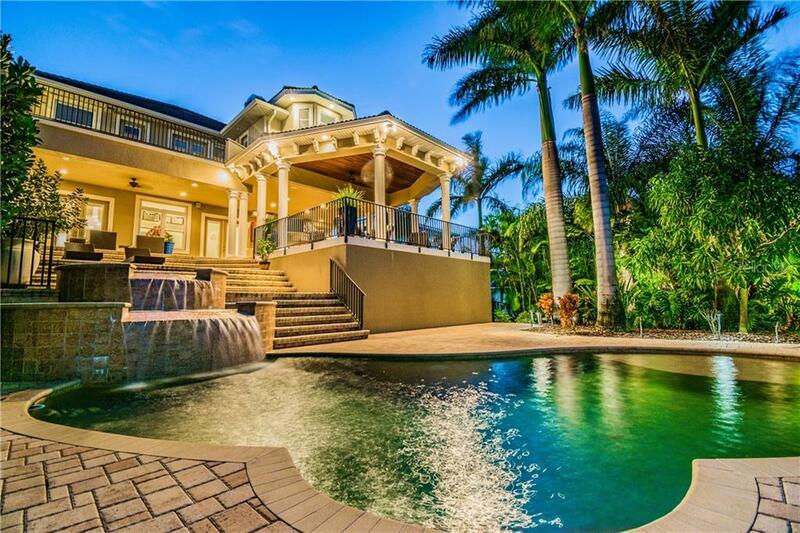 Positioned to take advantage of the breathtaking views of Tampa Bay and Weedon Isle Preserve, this home is the epitome of Florida paradise. Outdoor living space features three tiers of lush privacy boasting an outdoor kitchen and wet bar, gas fireplace, abundance of lounge areas and heated spa peacefully overflowing the saltwater pool. The dock features 10K lb. boat lift on deep water, double jet ski lift and easy paddleboard and kayak access. Inside the chef's kitchen offers glass countertops, stainless appliances, butler pantry and color adjustable back and island lighting. An elegant wine room is the centerpiece of the main level which also features a home office, guest suite, pool bath, gas burning fireplace, wet bar, travertine flooring & expansive tray ceilings. Generous Ownerâs Suite is located on the third level and boasts an additional fireplace, luxurious en-suite and access to oversized balcony all overlooking the Bay. Savant home automation allows customized security and automation throughout the entire home controlled from your phone. On the lower level, youâll find a state-of-the-art, in-home theater, full game room and 5 car garage. Other features include mosquito repellant integrated into irrigation system, reverse osmosis system, and tropical fruit trees. With the outdoor space being paramount in design, this home is the perfect escape just outside of the city.